There was a great deal of hype ahead of 2.30 pm press conference held on Tuesday by Mulayam Singh Yadav at the Samajwadi Party headquarters in Lucknow. There was a great deal of speculation that he had brokered a truce formula between brother Shivpal Singh Yadav and son Akhilesh Yadav and he was coming out in public through media to give out details of that peace deal. All news channels were on standby for breaking news. 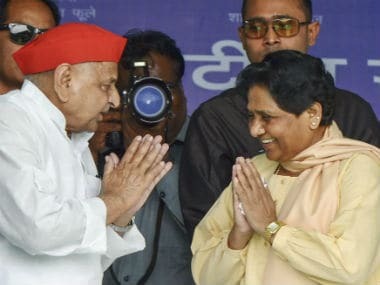 When Mulayam landed at the party office flanked by Shivpal and Chief Minister Akhilesh nowhere in the sight, it was clear that all those speculations that a ceasefire has been declared in the big ticket Yadav Pari-war and all should be well, were not rooted to the ground. The sparks were still there but not enough to lit fireworks during the day. It was thus an appropriate occasion for Mulayam to claim that family stood united, a kind of one family, one party. He conveniently chose to ignore what the expelled party leader (Leader of Samajwadi Party in Rajya Sabha), cousin Ram Gopal Yadav had said hours ago — how could Mulayam, three-time Uttar Pradesh Chief Minister and once defence minister say that Amar Singh saved him from going to jail. Does he (Mulayam) think of its connotations and how damaging it could be? This means that either CBI or judiciary was managed to bail Mulayam out. 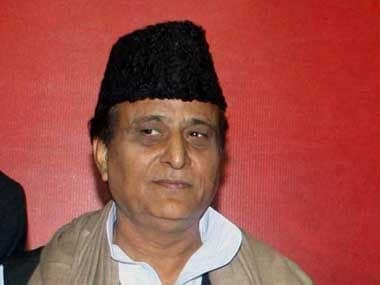 For Mulayam, the chapter on cousin Ramgopal was closed, despite latter's claim, "Jahan Akhilesh wahan Samajwadi Party." The Samajwadi Party boss disappointed all those who thought that he would yet again say things that would set Gomti on fire or spell out formula through which he doused that fire. He came out with a stock answer: "I will not give a single controversial answer, no matter how many provocative questions you may ask." The only takeaway, if at all, was that Mulayam was not yet removing his son from chief minister's post. That is important because there were some suggestions from Shivpal camp followers that he (Mulayam) should assume chief minister's position and rule directly, instead of depending on an untrustworthy proxy. As a firefighting measure, he held that Akhilesh was doing good work and had enhanced the image of the party. But that was all he offered to call a ceasefire in the Pari-war. Akhilesh and his followers would be unhappy because Mulayam yet again said that Samajwadi Party would not fight this election with Akhilesh as chief ministerial candidate. He left that uncertainty on Akhilesh's future hanging by saying the decision on this issue would be taken after the election. 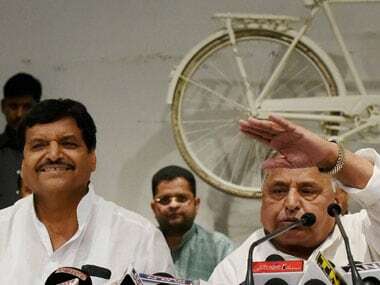 Mulayam's assertion that Akhilesh is not the face of 2017 assembly election is indicative that his distrust against his son continues to be same as was a day ago, or as articulated on several other occasions before. 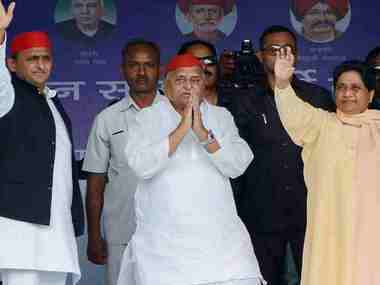 At Monday's party meet, Mulayam had openly questioned Akhilesh's competence and had snubbed him by praising Amar Singh and Shivpal. The infighting in the Yadav clan could not have been displayed in a more ugly manner than what was seen at the party meet — Akhilesh's mic snatched by Shivpal and told that the chief minister was a liar. On speculations that will Akhilesh be forced yet again to re-induct Chacha Shivpal (for the second time in the past one month) and three of his acolytes in the government, all of whom were sacked from their ministerial positions on Sunday, Mulayam showed some grace. He said a decision in this regard will have to be taken by the chief minister. The suspense on the next chapter of Yadav family reality show continues. While there is no word on the truce formula, there is no word either on whether Akhilesh would split the SP and go to the election with a new political outfit and a new symbol. Assuming that the status quo continues and Akhilesh and Chacha Shivpal may rave and rant against each other but go to elections together under same cycle symbol then the most important question that will confront the Parivar is that who will have greater say in ticket distribution. Akhilesh has gone public saying he wants tickets for assembly to be distributed as per his choice. But then the tickets are not distributed by the chief minister, a ticket (party letter to EC authorising a particular candidate for grant of party symbol) is issued under sign and seal of party president. Akhilesh can't do a thing (excepting putting up rebels, if he so desires) if his father and uncle don't agree with his suggestions. Bharatiya Janata Party and Bahujan Samaj Party leaders would be very happy with Mulayam's media conference. 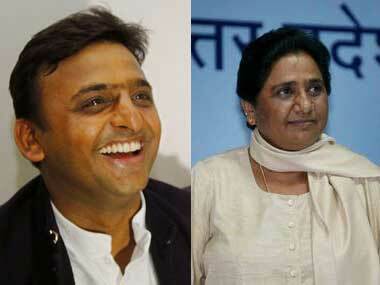 It further brightens chances of a bi-polar election between BJP and BSP.